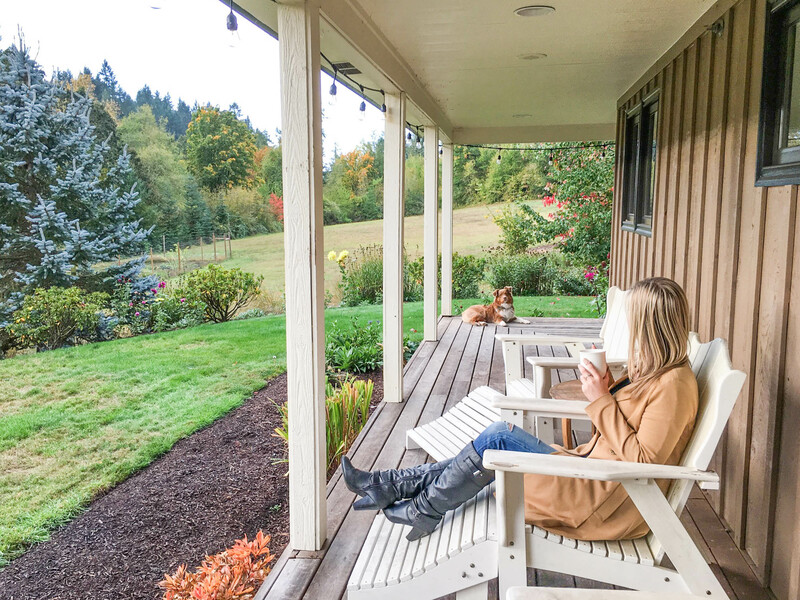 When I’m looking for a quick escape from the hustle and bustle of Portland, the Willamette Valley is my go-to destination. I visit often, and love discovering new places to sip and stay in the area. 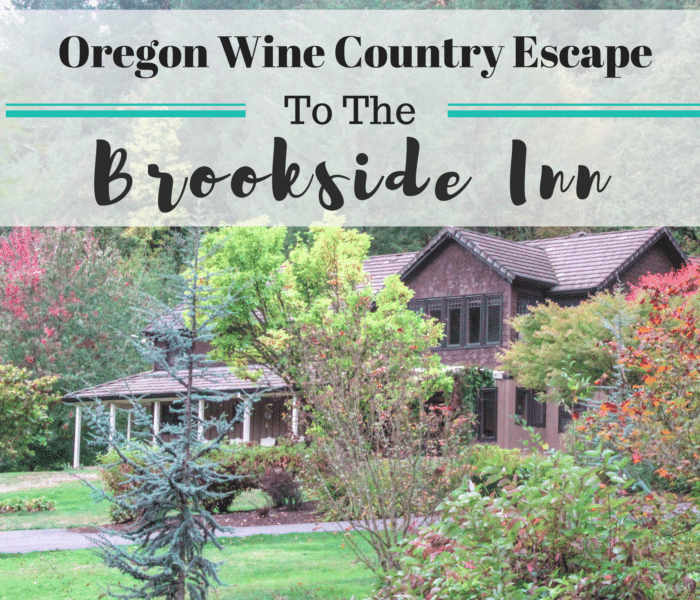 Recently I had the pleasure of discovering the Brookside Inn, a charming bed and breakfast in the heart of the Yamhill-Carlton appellation. 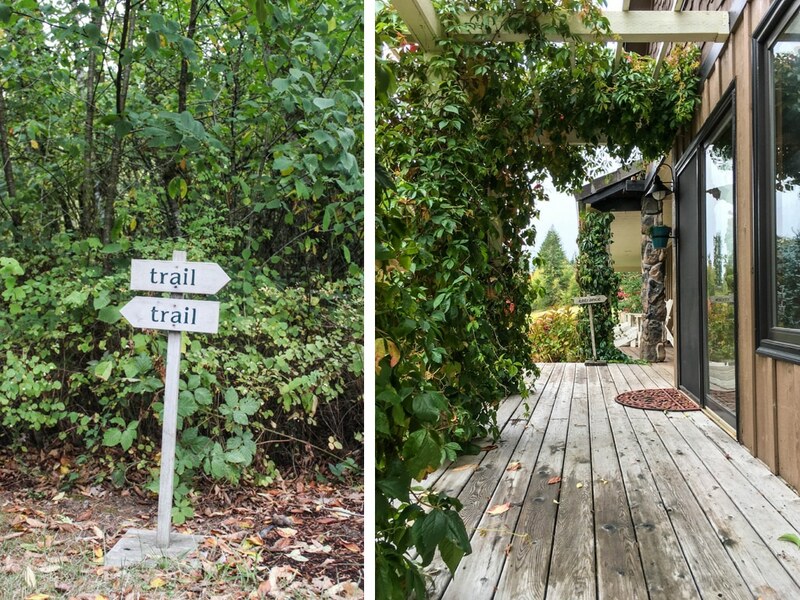 Though it’s only a short drive from downtown (~45 minutes), this 21-acre forest-covered estate feels worlds away from the commotion of the city. 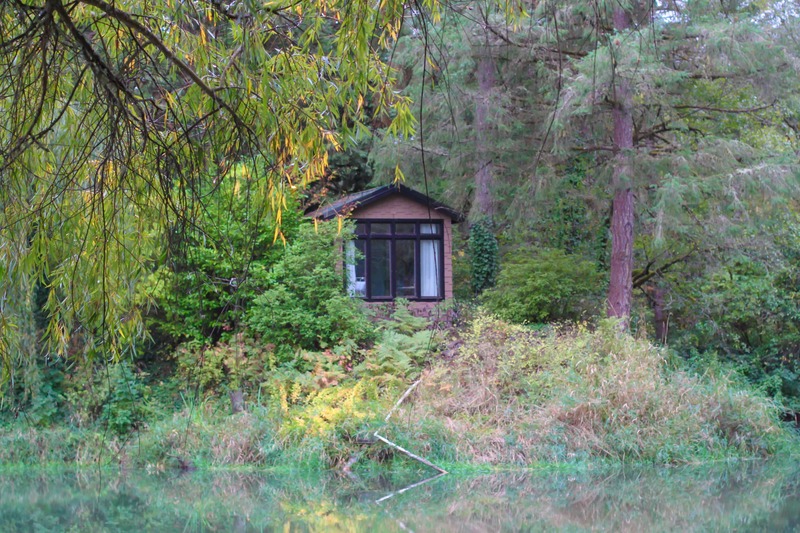 If you’re looking for somewhere to relax and recharge, I cannot recommend this quiet retreat highly enough. The land is absolutely beautiful and the accommodations are very modern and comfortable. But (like most places in Oregon Wine Country) it’s the people behind the scenes that enhance the experience and make it truly remarkable. When I first arrived at the Brookside Inn, Nola (the very friendly and sweet) Australian Shepard came bounding out to meet me, tail wagging as if she’d been awaiting my arrival her entire life. Nola escorted me to the front door where I was greeted by the innkeepers, Jerry and Erika Tindell. This husband and wife team welcomed me as a friend would, and were quick to make me feel right at home. 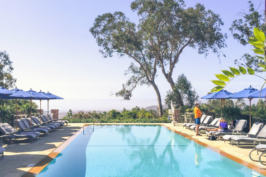 Their passion for hospitality is immediately evident and consistently displayed through their dedication to the inn and ensuring everyone enjoys their stay. I spent the afternoon exploring the Inn’s gorgeous, forest-covered grounds. To say there was plenty of ground to explore would be putting it lightly. The sprawling estate boasts a large pond (stocked with fish), a fire pit, hiking trails, gorgeous gardens and landscapes, several water features, and even a stunning prayer / mediation house that overlooks the pond. After enjoying the grounds for a while, it was time for some wine tasting! 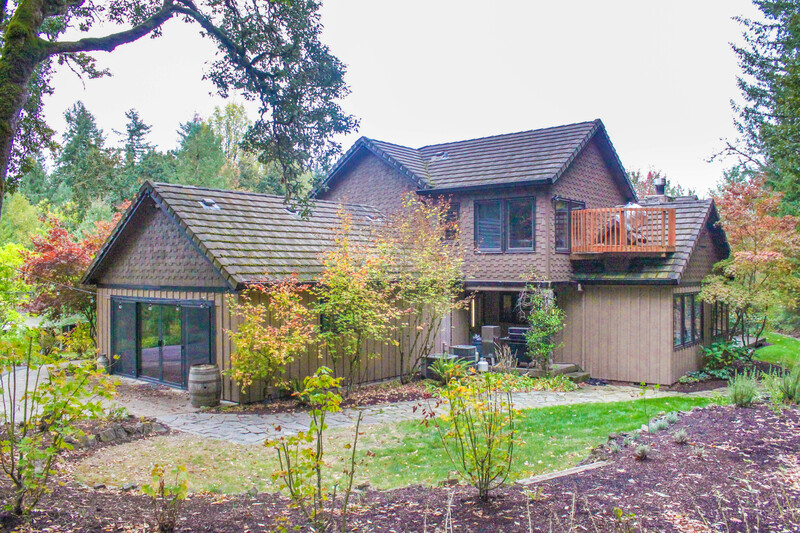 Again, the B&B is conveniently located in the Yamhill-Carlton appellation, making it a great home base for a weekend wine tasting getaway. There are numerous vineyards and wineries nearby, and Jerry was a great resource for recommending places to visit. 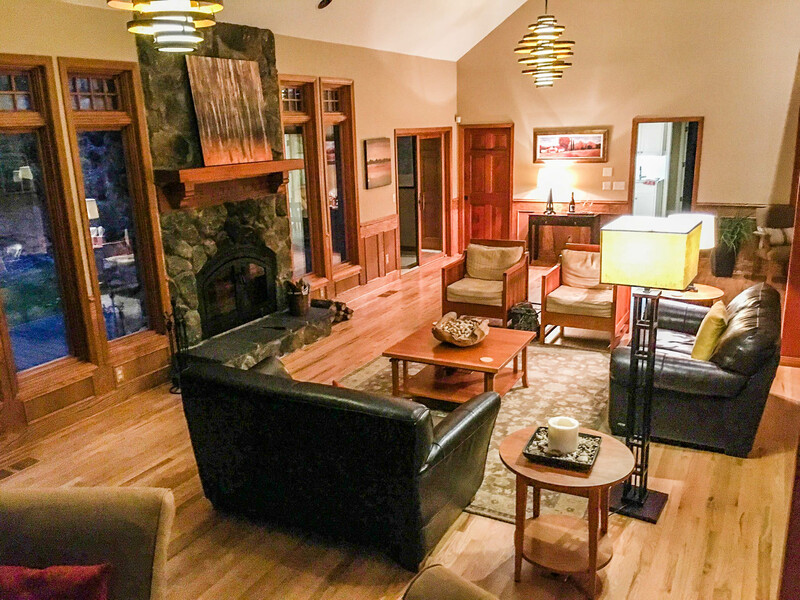 After tasting, I returned to the inn that evening where I enjoyed a final glass of wine by the cozy fireplace in the living room common area before retreating to my room for the evening. 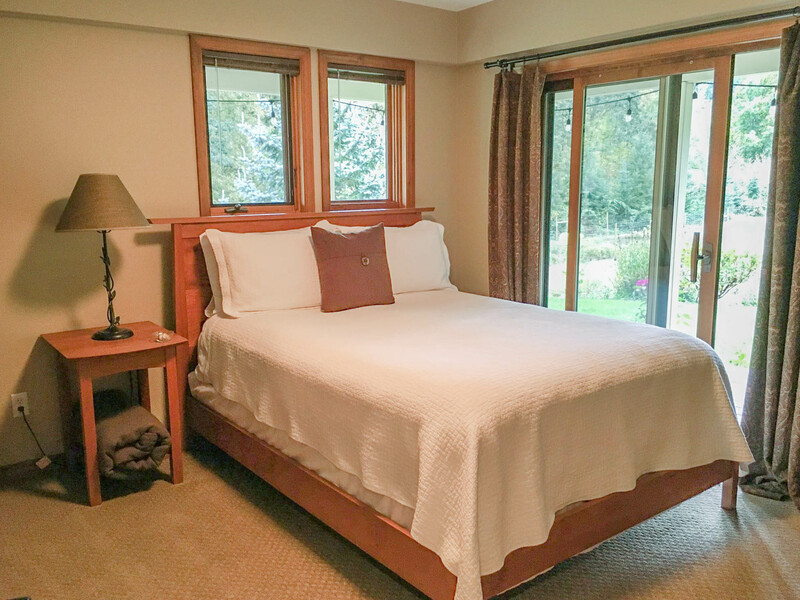 The Brookside Inn features six guest suites, each with its own private en suite bathroom. My room was on the ground floor and had a sliding door that opened onto the wrap-around porch. The modern rooms are very comfortable and both the queen size bed and walk-in shower were to die for. The next morning, I woke to the smell of breakfast and coffee being prepared by Erika. I had a cup of coffee on the front porch and enjoyed the gorgeous and quite peaceful views it offered before making my way to the dining room for breakfast. Breakfast, of course, was homemade and delicious. It was served family-style in the dining room, and we enjoyed conversation with Erika and Jerry as well as the other guests before heading out. Everything about my visit was relaxing and enjoyable, and I cannot wait to return! 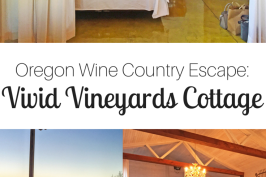 If you’re planning a visit to Oregon wine country, I cannot recommend this beautiful B&B highly enough. I received a free stay at the Brookside Inn, but all thoughts and opinions are my own. 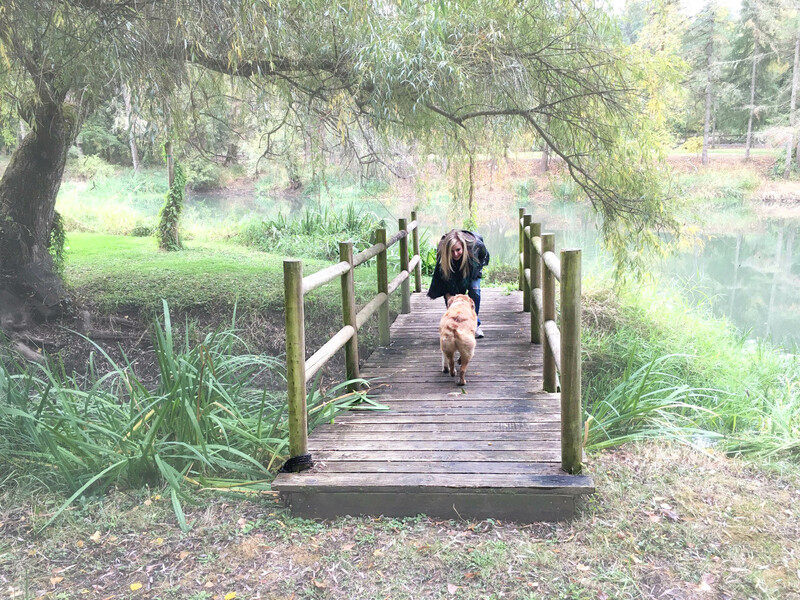 I love it when an inn, hotel or B&B makes me feel at home—whether by a four-legged friend greeting me or the homey touches in the rooms. Looks like this inn made you feel great! this looks amazing! 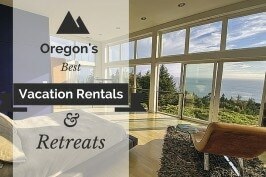 My friends and I are planning a girls trip to Portland next October and we may have to venture out! Thanks for the rec! 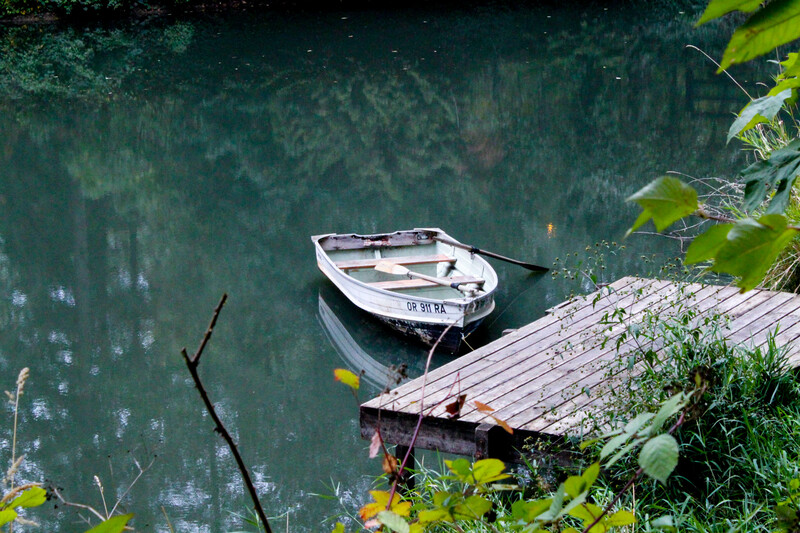 What a serene spot! I think I actually ran by this place during the Oregon Wine Country Half Marathon. I’ve wondered about it since then, and I am so glad I read your post! I’ve been craving this type of weekend. 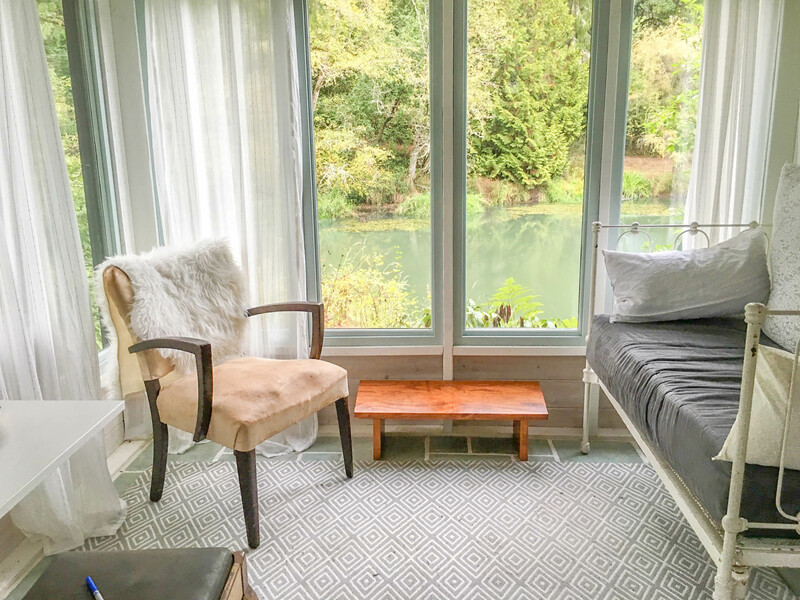 Seems perfect for a getaway with the girls or even a few days of solitude. Oh my gosh, this sounds WONDERFUL! 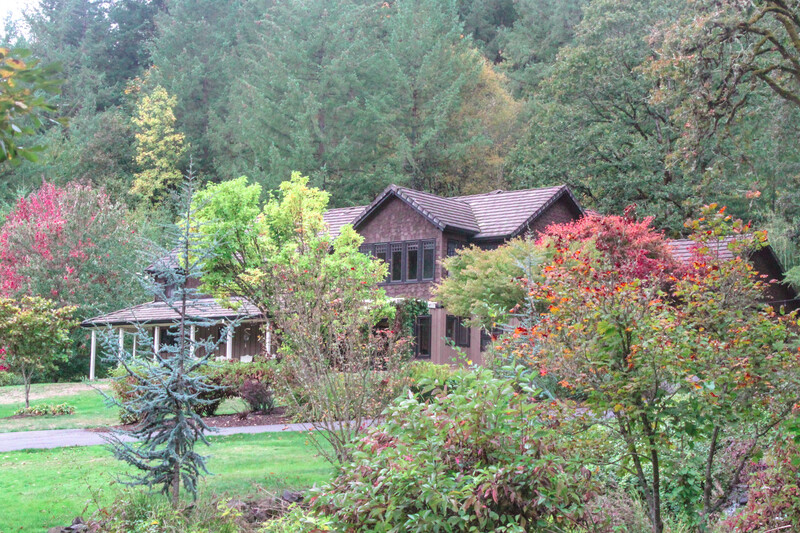 I love wine tasting and finding a great place to retreat for a weekend for peace and quiet. 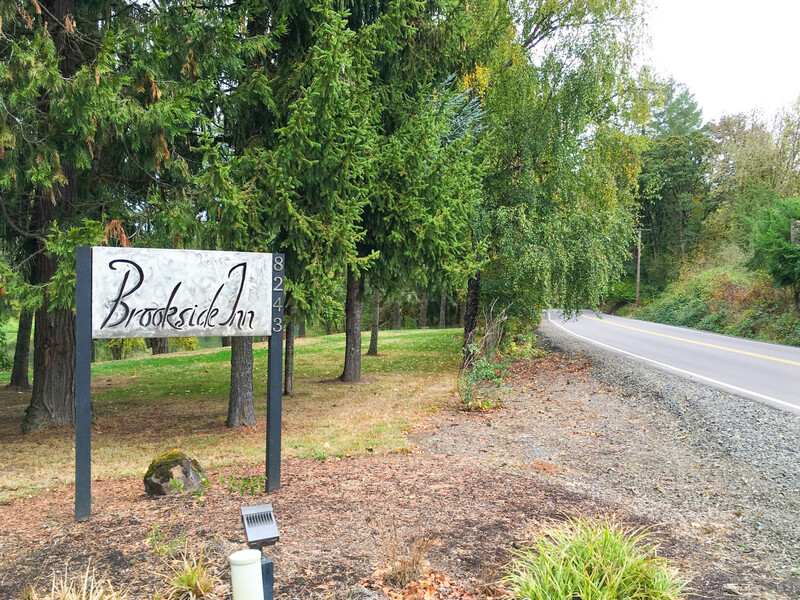 Brookside Inn sounds PERFECT! I’m adding them to my must-visit list now :). This looks so great! I have yet to master the getting to stay at a place for free! Nicely done! Looks like such a relaxing place to visit! I’m actually going to Oregon this weekend but won’t be going to any wineries since my son will be with us. However, I think it’ll be nice to go in the future for a little getaway!